Attending the Press Conference last week, I learned that Zanjoe Marudo is Direk Wenn's first and only choice to play the Brando/Brandy role. He says, "Higit pa sa expectations ko ang nabigay ni Zanjoe. Kaya, rushes pa lang ng movie, habang pinapanood ko ang mga eksena ay pumapalakpak ako sa paghanga (kay Zanjoe). Lalo pa nga at may confrontation scenes sila Brando at Brandy". So what is Bromance all about, if you may ask? This is a story of identical twins, Brando and Brandy, who fell apart when Brando can't accept his gay brother. Brando ran away from home and started his auto mechanic shop, but his life falls into debt. On the other hand, Brandy became a successful interior designer. When their mother asked Brandy to sort out things between Brando, he approached his brother but got on a tragic accident and falls into coma. Unfortunately for Brando, he has to help his twin to close the multi-million peso deal that Brandy was about to close before the accident. With the help of Brandy's friends, they transformed his walk, talk, and appearance to pose as the latter. What Brando realized is that helping Brandy could also get him back his first love, Erica (played by Cristine Reyes), who happens to be his brother's best friend. So what happens when Brando becomes Brandy? Will he ever pull off the psyche of his twin brother? And will he be able to close the deal without everyone knowing that he's only pretending to be Brandy? I'm so excited to watch this movie. Good thing May 15 is only few sleeps away. Zanjoe Marudo mentioned that the challenge while doing the movie is more on the Brandy scenes. He said that its harder to play the role of a real gay than a real guy pretending to be gay. He also said that if given the chance to play a gay role in a dramatic movie, he would willingly accept it because it means that people appreciate his craft. 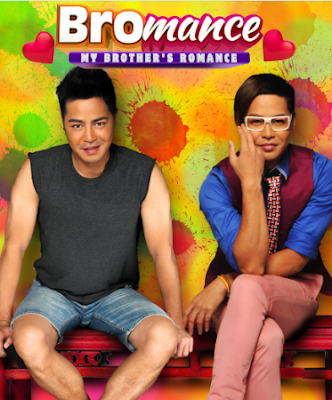 Bromance: My Brother's Romance also stars Arlene Muhlach, Joy Viado, Manuel Chua, Boom Labrusca, Joey Paras, Lassy Marquez, Atak, Nikki Valdez, Maricar de Mesa, Abbie Bautista, Carlo Romero and Jeff Luna. Are you Team Brando or Team Brandy? 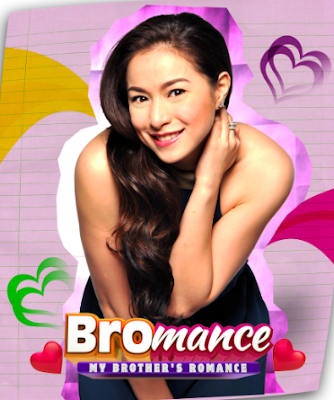 Catch Bromance this May 15 at cinemas nationwide. You can also LIKE their Facebook Page at https://www.facebook.com/BromanceMovie.